I have not always been a blog enthusiast. “They require so much time,” I mumbled, while reading others’ lively, reflective, thought-provoking blogs. “When am I going to find time for that? How am I going to possibly find enough things to write about?” I worried so much it kept me from thinking about the potential positive outcomes. When my colleagues at OpenSesame tasked me with writing and editing this blog, I was thrilled that someone had pushed me to do what I hadn’t been able to push myself to do. But it hasn’t been easy. Blogging is hard work. You have to do more than mutter under your breath about your ideas: You must think thoroughly to ensure that your opinions are consistent and supported by evidence or examples. Sharing your posts publicly holds you accountable to an external community of people will read your posts and challenge you to explain yourself. It was really difficult, in the beginning, to consider a post “finished” enough to publish. I struggled, revised, asked for feedback and procrastinated. After a few months, it got easier – but I didn’t really get comfortable until I started telling myself that it didn’t matter if anyone was reading. I was writing the blog for myself, to develop a cohesive narrative of my professional development. It’s not about who’s reading or what they think – it’s about how much I grow and share. This change in perspective was liberating. Not only was it much easier to press the “Publish” button, I’ve gotten more adventurous with the topics and opinions I share. The blog makes me think bigger and work harder. And I have made great connections with smart, creative people all over the elearning world. It has been an incredibly rich and rewarding experience. 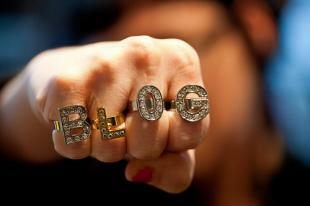 As a result of all these warm fuzzy feelings, I’ve become a true blogging evangelist. I encourage everyone to write regularly because it fills essential roles in the learning and professional development process, including reflection, improvement and sharing. To truly persuade you, here are my top five reasons you should blog too. Explore new skills and ideas. Write posts to think about how new technologies, practices and ideas could influence your work. Reflection and self-evaluation. Write about projects that have succeeded and failed and think about how you would do things differently next time. Write about those critical “aha” moments to solidify them in your own mind. Share tips and best practices. Do you have a magical solutions for curating resources for your organization? Do you know the absolute best way to evaluate the success of a training program? Or do you just want to tell your colleagues to avoid the burger place on the corner? Use your blog to evangelize for the ideas you care about. Become a leader. Blogging is an opportunity to establish yourself as a leader in your field. The more valuable, meaningful and thought-provoking your posts are, the more relationships you will develop. Challenge yourself. Don’t settle for what you already know. Challenge yourself to write about the things you don’t already know. Make yourself innovate. In closing, don’t panic. You don’t have to start a blog from scratch! Consider blogging for an internal audience. Maybe your co-workers would appreciate the opportunity to share submitting guest posts for this blog or another you enjoy reading regularly. Most bloggers are eager to connect with people who care about the same issues they do.